Can the commons be mapped? 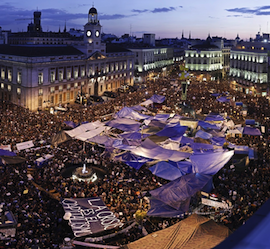 Which new practices of commoning are emerging in the new global cycle of struggles? The project proposes a method where the commons are discussed, defined with parameters and, sometimes, represented in short videos. A network of researchers & activists in several cities from Istambul to Belo Horizonte, from Athens to São Paulo, from Sevilla to Rio de Janeiro. Mapping the Commons is a project of exploration and representation of the urban commons. The research takes the main form of a temporary laboratory where activists, artists, social scientists and students from different disciplines join for more than a week. The project proposes a method where the urban commons are discussed, parameterized and represented in short videos. 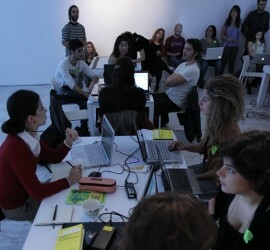 Two workshops took place in Athens in December 2010 and in Istanbul in November 2012 respectively aiming to trace the contemporary role of the commons in the urban environment. The project was conceptualized and supervised by Hackitectura.net as a commission of the National Museum of Contemporary Art in Athens and it was realized in collaboration with professors andresearchers from the Department of Media and Communication of the University of Athens, the National Technical University of Athens and Panteion University of Social and Political Sciences. 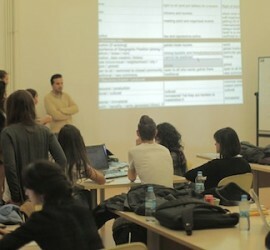 In Istanbul, the workshop was organized as part of the Amber festival in collaboration with Istanbul Technical University. The project is coordinated by Dr. Pablo De Soto currently affiliated researcher at Umeå School of Architecture.